Visiting Medan, North Sumatra, has not felt full before set foot and explore the small village on the island of Samosir, Tomok. From Jakarta, it takes more time for less than two hours to reach Medan, North Sumatra. Airlines will feel comfortable with available from a height, especially when the plane would crash. Verdure, and tree-lined row of palm oil plantations spread wide felt refreshing views from a height. The atmosphere feels cool when you see the river bend with sheen like water from a height of silver. Landed in the International Polonia Airport in Medan, traditional environment is felt. Moreover, when the airport saw the roof of building is styled as Medan traditional style ala Singapore, with a high roof-shaped triangle. Meanwhile, Polonia Airport distance to the center of Medan, only applied for approximately ten minutes. 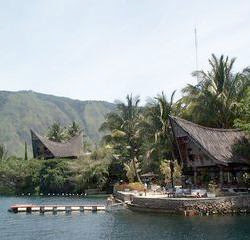 Tourism object most domestic tourists visited the world is Lake Toba Parapat with a broad reach as far as the eyes look. Navigate the streets of Medan in the morning felt comfortable, modern building in long of the street like Jakarta. Here is not seen in traditional buildings along the street in this city. In fact, a quite surprising is the emergence of a building with China’s architecture, in Kesawan Road, from the roof to the carving-carved look all the thick feel of China. In fact, the building with China architecture is a residence of Chinese descent who is familiar with fie Tjong A (1860-1921). Tjong A fie was a businessman and banker from the famous Chinese city Medan. Tjong A fie years died in 1921. Entering Parapat, greenness and freshness of the air blow breezy feel very entertaining, let alone see the greenness of rubber trees and oil palm plantations to make the scene come silih main switch from the car window. Paving the hill turn make all the troupe does not stop praising the beauty of this city. In Parapat, tourists can perform a variety of activities. You can swim, ride bicycle water, walk and enjoy the fringe of the beach, all fun. Around the lake also can be rented with the boat motor. 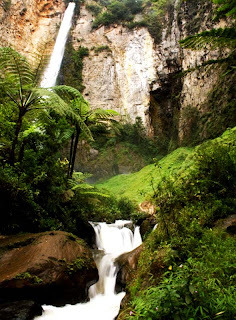 A variety of lodgings, there are here, ranging from simple to much-star hotels are available. Not different from the place of another crossing, in the Central Parapat also many children with a small rowing boat cried out that the passenger ship the coin toss money into their lake. With their skill children be naked chest this dive and find a coin that was thrown. 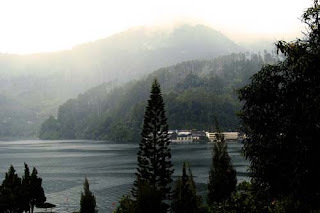 Lake Toba has its own form, such as the sea, because the very large size. Noted, the lake has long about 100 km and 30 km wide. Meanwhile, Samosir Island is also very knowledgeable. Take about eight hours to circumnavigate the island in my car. 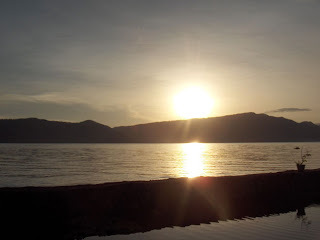 Travel with 8 KM Toba Cruise takes approximately 30 minutes, the water of the lake and the blue of the interest does not stop all the presented when the lake is the island of Samosir. Row of the distance from buildings and churches in the height of the hill make a trip with 8 KM Toba Cruise feels romantic. Not to mention the wind blast and enjoy the water jump porthole. From the top of this ship, is also visible EGIDE Soekarno, the first President of Indonesia was exiled, with the design of the building be painted with white magnificent. And, 30 minutes on the Toba Cruise KM 8, entourage starts to enter the Port of Tourism Tomok, District Simarindo, Medan, and North Sumatra. A wharf tower is visible, with the traditional Batak carvings, namely a pair of spot. Proof of Batak ethnic harmony enshrined in the monument welcome this bas-relief with each pair of clothes with traditional Simalungun, Toba Karo, Pak-Pak, Mandailing, and written with great Horas and Welcome Tomok.